In the recent Kerry plan, the ARC project, sponsored by the famous American organization RAND, was approved. This project links Palestinian cities by train between the cities of the Gaza Strip and Hebron and Jenin (90 minutes between its first and last stop). This project hopes to reshape the Palestinian space to suit the Zionist settlement. The project is a practical solution for the existence of a Palestinian state without removing the settlements in the West Bank. It transfers Palestinian transportation away from the visual field of the settlers and fosters the false feeling of the Palestinian state and its independence. It is worth mentioning that Rawabi is within the scope of this project! This Palestinian Authority is considered to be the job of protecting the security and preventing any action against the occupation, in order to impose its sovereignty and definition of it, while the settlers do not violate its prestige. Creating a successful independent Palestinian state poses a wide range of political, economic, social, and environmental challenges. 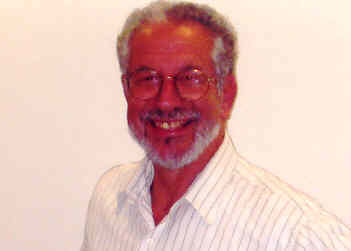 Since 2002, a multidisciplinary team of experts from the RAND Corporation has been working with Palestinians, Israelis, and the international community to develop an in-depth and comprehensive nation-building plan to address these challenges and facilitate the state's success. An exploration of options for strengthening the physical infrastructure for a new Palestinian state, this study builds on analyses that RAND conducted between 2002 and 2004 to identify the requirements for a successful Palestinian state. That work, Building a Successful Palestinian State, surveyed a broad array of political, economic, social, resource, and environmental challenges that a new Palestinian state would face. This study, The Arc: A Formal Structure for a Palestinian State, examined a range of approaches to siting and constructing the backbone of infrastructure that all states need, in the context of a large and rapidly growing Palestinian population. The research team develop a detailed vision for a modern, high-speed transportation infrastructure, referred to as the Arc. 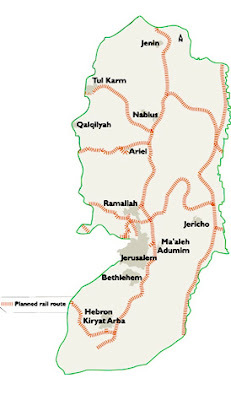 This transportation backbone accommodates substantial population growth in Palestine by linking current urban centers to new neighborhoods via new linear transportation arteries that support both commercial and residential development. The Arc avoids the environmental costs and economic inefficiencies of unplanned, unregulated urban development that might otherwise accompany Palestine's rapid population growth. Constructing the key elements of the Arc will require very substantial investment of economic resources. It will also employ substantial numbers of Palestinian construction workers. It seems plausible that key aspects of the Arc design can be pursued, with great benefit, even before an independent Palestinian state is established. Israel Railways has prepared a major plan for providing train service throughout the West Bank to serve both Israelis and Palestinians. 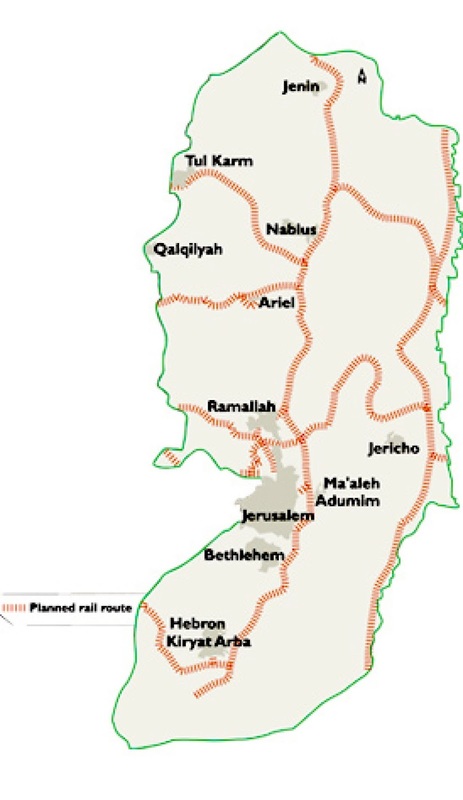 The plan, prepared at the request of Transportation Minister Yisrael Katz, calls for establishing 11 new rail lines, according to a map that Haaretz has obtained. Plans to expand Jerusalem’s light rail will connect Israel’s capital with three West Bank settlements, including the city of Ma’aleh Adumim...Transportation Minister Israel Katz said the issue was equity for all Israel’s citizens. 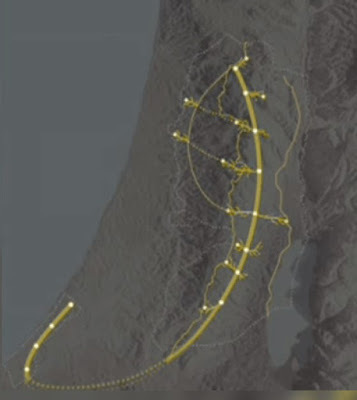 The Transportation Ministry provided The Jerusalem Post with a map of the new lines, which show five extensions. In addition to Ma’aleh Adumim, the train will reach the settlements of Givat Ze’ev and Geva Binyamin [Adam], both of which also are just outside of Jerusalem. The Israeli government has launched a new five-year plan to upgrade the transportation infrastructure in the West Bank to the tune of NIS 5 billion ($1.3 billion). 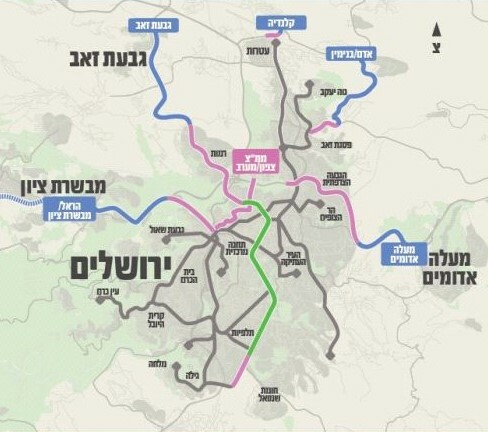 The plan also includes a light rail that would connect the settlement of Ariel and the Samaria region to the Greater Tel Aviv metropolitan area. The light rail will go from Ariel towards Rosh HaAyin and Petah Tikvah. I guess it'll be a battle of the rails.